Thanks so much for your help getting the word out. So far, it’s working pretty well. The Facebook post has reached 1,200 people, which is way more than I’ve ever had before. Keep sharing it! 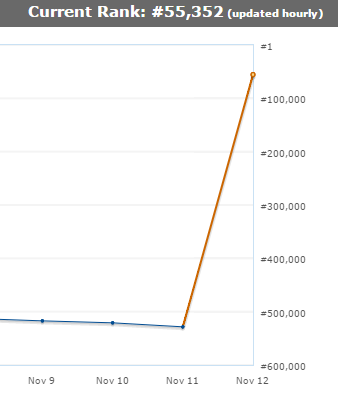 The big news is that my Amazon Rank is trending up, and it’s reached #58,000 as of today (It hit #55,0000 on Wednesday). That’s pretty awesome, and I really appreciate it. It’s humbling to have people spend money on something I created, though I do believe it’s good reading! To really keep this going, we need to aim for the top 100. To get there, let’s start with a goal of reaching the top 10,000. I think we can do it with a couple dozen sales. To entice you, I’m adding to the Contest prizes. 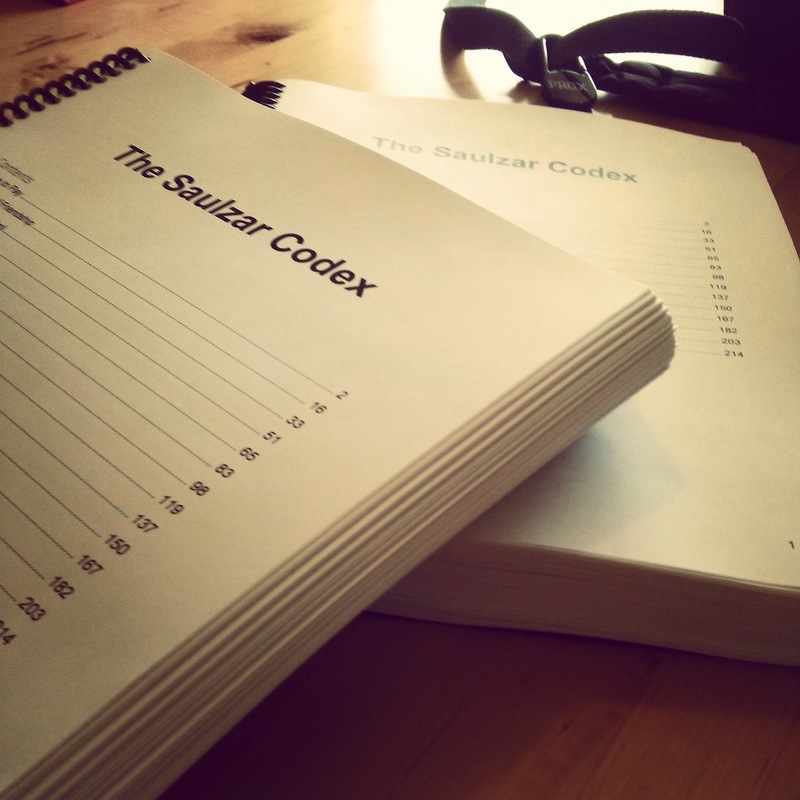 If we reach the top 10,000, I’ll add an original, red-inked copy of the manuscript to the prize drawing. There’s only one in the entire world, so who knows, maybe it’ll be a sought-after collectible one day! Only one of these now has my comments and edits on it! For contest details, go here! The contest runs until December 31, but buying the book today helps boost that ranking.